Learn more • Join today! All-new, spiral-bound manual features over 800 pages of cylinder head specifications, including: head thickness, installed stem height, valve protrusion or recession, valve head diameter and valve stem to guide clearance. 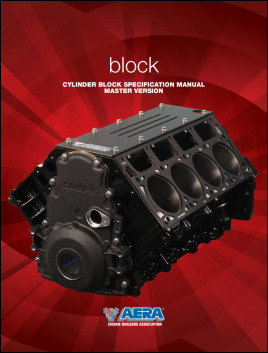 All-new, spiral-bound, block-specific manual includes cylinder bore diameter, cylinder block deck height, piston skirt clearance, main housing bore diameter and main bearing torque, as well as casting numbers and technical bulletins. 768 pages. Published in 2016. All-new, spiral-bound manual features over 900 pages of specifications and casting numbers. Specifications in this update include: ​stroke, rod diameter, rod oil clearance, rod fillet, main diameter, main oil clearance, main fillet and thrust width. Published in 2018. All-new, spiral-bound manual features over 600 pages of critical information required to remanufacture connecting rods, including a casting number section and important technical bulletins. Identify casting numbers for more than 400 flywheels. 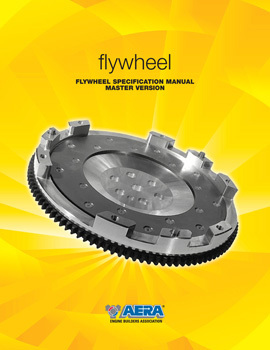 This unique, one of a kind manual also contains critical information required to resurface flywheels. 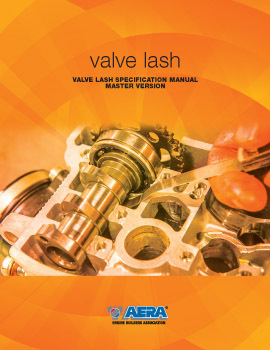 Features over 200 pages of valve lash specifications and technical bulletins. Features hundreds of pictures from real-life failures. 15 sections: 1) Piston Technical Information; 2) Piston Failures; 3) Piston Pin & Locks Failures; 4) Piston Ring Failures; 5) Engine Bearing Failures; 6) Crankshaft Failures; 7) Gasket Failures; 8) Camshaft & Lifter Component Failures; 9) Valve Seat, Valve & Valve Spring Failures; 10) Timing Component Failures; 11) Casting Failures; 12) Miscellaneous Information; 13) Lubrication System Failures; 14) Variable Valve Timing Units (VVTs); 15) Warranty Administration. 240 pages. Published in 2019. Click on the cover to look at what's inside.